In our previous blog posts we have discussed how illumy works from the customer’s perspective. We’ve covered how the red light simulates a sunset and the blue light simulates a sunrise. We have covered some of the science and research that shows that blue light exposure in the morning can be more effective than a cup of coffee (if you missed it: click here for a good starting point). Our How-to videos demonstrate how to use our newest sleep mask (on YouTube). What about the insides of the device? How can illumy be programmed by sound and keep track of the time and alarm as well as the sunrise and sunset settings? In this article I will try to give some insight into how the illumy tone decode circuit and software works from a technical point of view. Our early concepts included buttons and a display to set the time. Yeah…it didn’t work out the way we were hoping. It was huge, heavy and expensive. Luckily we had another approach to try. How sure do we have to be? 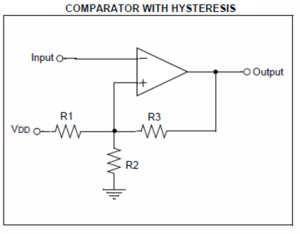 In practice, hysteresis makes the software much simpler. Since a real audio signal usually has all sorts of noise, we need to ignore the noise. Here is an example from our breadboard that shows how noisy the audio signal can be – the comparator would trip so many times that our measurements would be difficult to understand (especially with an 8 or 16 bit MCU). 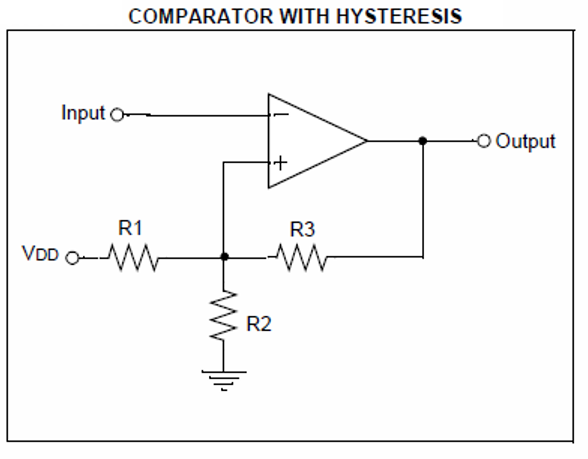 The yellow signal is audio and the red signal is the comparator with hysteresis. Note how the yellow audio signal is a thick line – this is the signal jumping up and down at many times the tone frequency. To set up the comparator, we have to choose resistor values that will ignore any change that has the same magnitude as the noise. We can improve the filtering in software but this hardware solution gives us a very reliable frequency measurement to begin with. The next image should give us a good idea of how the hysteresis cleans up the signal for us. Note how the comparator (in red) does not change state until the audio signal has gone past the audio zero point. The effect is that the noise on the audio signal (the small, fast jumps up and down) don’t trigger a change of state in the comparator when the audio signal is close to zero. I marked the transitions with red vertical lines and you can see how this lags behind the audio slightly. Mission accomplished. You can now add the two values together to get the audio wavelength. Converting a wavelength to frequency is easy f = 1/T (f is frequency, T is the period/wavelength). Now you have a basic tone decoder. If you want to decode multiple tones you can save each tone that you detect in an array. One issue that will arise is that you will likely detect the same tone over and over again. This will fill up your array very quickly. This is where the strategy is important. You will want to discard any consecutive readings that are the same. By discard I mean you can compare the current tone to the previous one and if they are the same, don’t save it in the array. You will need to find a way to demark between tones but I’ll leave that to you to figure out (hint: You can do this with timing (more difficult) or you can use specific tones as separators). This should be fairly easy to implement on an Arduino but I used a PIC from Microchip. The first decoder was developed on a tiny 8 pin unit but later prototypes use a 28 pin device. Visit our Indiegogo page and watch our how-to product videos. 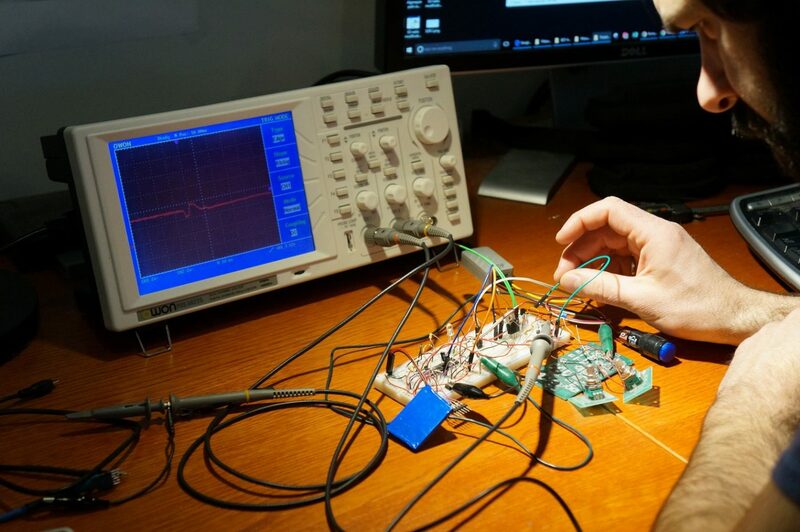 Interested in building your own tone decoder using an Arduino? Let me know in the comments – if there is enough interest, we’ll put together a sketch and a circuit and post it. 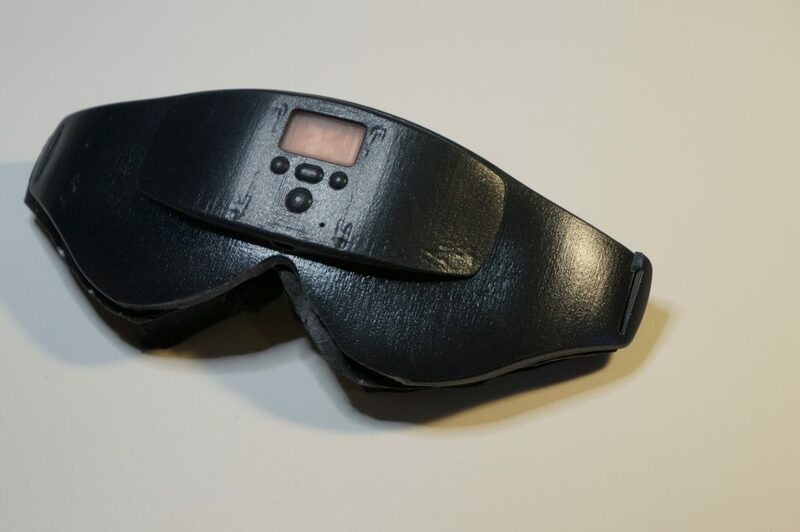 Maybe we’ll get to the point where we can build our own Arduino powered illumy sleep mask. 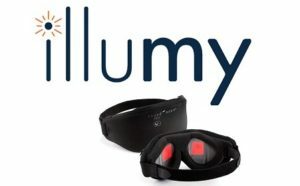 ← illumy eye mask now available through Indiegogo!